佐藤 学（1992）「反省的実践家としての教師」 in 佐伯 胖・佐藤 学・汐見 稔幸 編（1992）『学校の再生をめざして (2) 教室の改革』 、東京大学出版会. 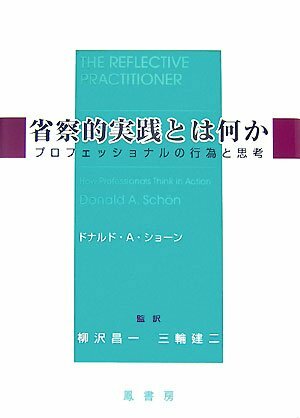 デューイ（1938→1968）「論理学──探究の理論」（魚津郁夫 訳） in 『世界の名著48：パース ジェイムズ デューイ』 ISBN:4124001282 / ISBN:B000JBBMMK 、中央公論社、1968. Stephen K. Hester & David Francis, "Ethnomethodology and Local Educational Order " in Hester & Fransis ed. Local Educational Order: Ethnomethodological studies of knowledge in action .